The Cretaceous sediments of southern England (dating from 145 million to 83 million years ago) have yielded a plethora of fossil reptile specimens, ranging from flying reptiles to gigantic marine predators. The most famous of these, the dinosaurs, are known mainly from the rocks of the Wealden Group, which were deposited by rivers and streams. However, other Cretaceous formations laid down by the sea, including the Lower and Upper Greensand and the Chalk Group, have provided key information on reptile evolution during the 'middle' part of the Cretaceous period. 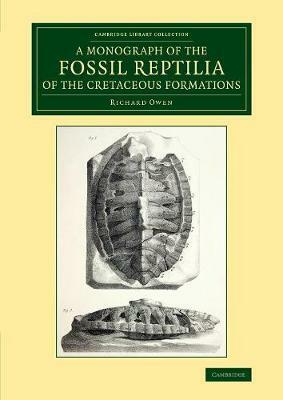 Sir Richard Owen (1804-92) assessed all of the fossil reptile material at his disposal and summarised many of his findings in the monograph on Cretaceous reptilia (published with four supplements in 1851-64). This included new information on the dinosaur Iguanodon and on plesiosaurs, but was concerned mainly with fossil turtles, flying reptiles (pterosaurs) and marine lizards (mosasaurs and their relatives).